St. Mark's Church where they still have poetry marathons. St. Mark's is 8th street, which is technically the East Village. 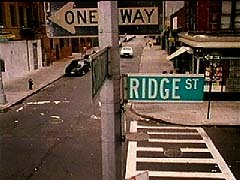 We filmed a lot on Ridge Street below Houston in what's called The Lower East Side. 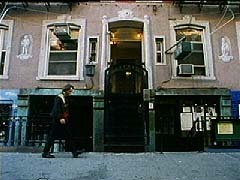 We used the same apartment that appears in director Scott Saunder's movie THE HEADHUNTER'S SISTER.